So there you are, leaning on the rail of the cruise liner, musing on the infinite, when somebody floats by below you. That must be what caused the splashing noise. 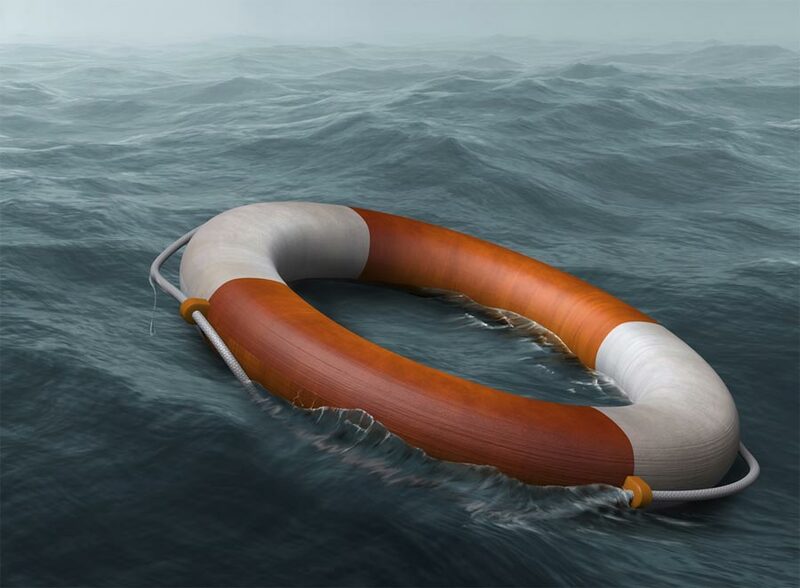 Unmatched Experience in the Provision of Lifesaving Hardware to Drowning Voyagers. A Focused Approach, Tailored to his Exact Needs. So you explain this to the flagging passenger as he goes under again. Obviously, your experience is important to him; how else can he judge your ability to save him? So as his head briefly surfaces, you tell him that you've rescued more than twenty people in the last ten years, and that... oh hang on, he's sunk again. Then a flailing hand breaks the surface and grabs the inflated hot water bottle that the guy next to you just threw in. The guy with half your experience and a solution he made up on the spot - and yours had a British Standard Kitemark and everything. I think I've probably made my point. Sales pitches nearly always start with a grinding exposition of your company's credentials, experience and approvals. And pretty much ignore what use all of that is to your customer. Please, just get to the point. They'll want to know who they're dealing with after they've decided they want to deal with you. Give 'em what they want first and everyone will have a nice easy voyage. OK, so nobody's going to drown while you meander to the point of your presentation, but your audience's interest will have gone down for the third time, and you'll have got all wet for no good reason.